Paul J. Siegenthaler > Blog > Deals in the making > Is AOL one of those desperate would-be brides? The news that AOL is about to be acquired by telecommunications giant Verizon reminds me of the box-office hit of the 1990’s “Muriel’s Wedding”, that charming tale of an unattractive Australian desperate would-be bride who relentlessly pursues her dream, turns out to be a beautiful sensitive person but gets faced with the harsh realities of life. AOL’s name will always be associated with one of the biggest M&A fiascos, resulting in the split-up from Time Warner after just under 9 years of a very troubled union. So what’s in it for whom? Tim Armstrong’s strategy for AOL focuses on achieving growth through supply (network), customer data, and video / automated ads. The video business alone grew by 90 percent in 2014 and that of course provides an increasingly attractive platform for advertisers. Everything would be perfect if it were not for the fact that an ever growing share of on-line media content is being consumed “on the move”: mobile is the magic word. Verizon’s dominant position on the USA’s East coast makes that company the unavoidable partner to pair up content, customer data and mobile access. This is good news for advertisers, who will have a means of broadcasting their messages to finely targeted audiences; and evidently good news also for both Verizon and AOL who can charge more for the efficient communication channel they are providing to the advertisers. 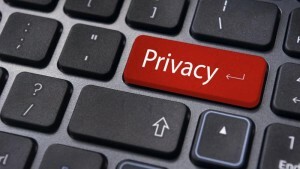 Some consumer groups, however, are vocal about their fear that gathering data on individual’s preferences, habits, life-style and whereabouts, as monitored by their on-line activity and mobile location, is an unacceptable intrusion into anyone’s privacy. Some lobbyists are using this argument to try to block Verizon’s acquisition of AOL from going ahead. This is unlikely to have much impact, however, as the regulatory authorities are more concerned about any detrimental effects on competitiveness than about the private sphere of individuals: Verizon and AOL’s revenue will increase as a result of charging more for advertising, not from jacking up the users’ subscription fees. If we must be subjected to advertisements whilst watching a movie, following a sporting event or viewing news up-dates, I personally prefer such ads to be relevant; so I would not be too fussed if an ad for a physical activity tracker appeared on my screen, because I have been comparing such devices on-line lately and intend to acquire one to better monitor the calories I burn. But to some people, this may seem freaky, as if someone is permanently looking over their shoulder. To those who feel uncomfortable with the amount of customer data that is being used commercially, I suggest focusing strongly on Google and Facebook who currently dominate on-line advertising with revenues of USD 58.7 billion and USD 12.4 billion in 2014 respectively. Both of those companies go one step further in commercialising their customer profile data, as many other websites now offer viewers to log-on using their Google or Facebook ID and password. What better way to instantly communicate to a seller all that needs to be known about the person who has just started browsing his website. Could we ever imagine anything similar when a potential customer walks through the door into a shop? Given the dominance of Google and Facebook in the on-line advertising world, throwing a few credible new competitors into that market should not cause much harm, quite to the contrary. So let’s assume that the Verizon – AOL deal will go ahead. Meanwhile, where and how the customer data collected by such companies gets used is a matter for parliaments to debate and legislate rather than for the competition regulatory authorities. Clearly this is not an easy task since as the whole debate is torn between two opposing objectives: on the one hand there is a desire to protect the citizens’ privacy, but on the other hand governments are increasingly trying to snoop into our daily activities to detect the one in a million citizen who turns out to be a dangerous terrorist. So far, the snoopers appear to have the upper hand, convinced as they are that the risk of being caught in dramatic events can be reduced to zero, and they will continue to do so until citizens accept the sad fact that some very unlucky people can end up being in the wrong place at the wrong time. It is called fate. Tags: acquisitions, AOL, market reaction, on-line privacy, Verizon, Yahoo!